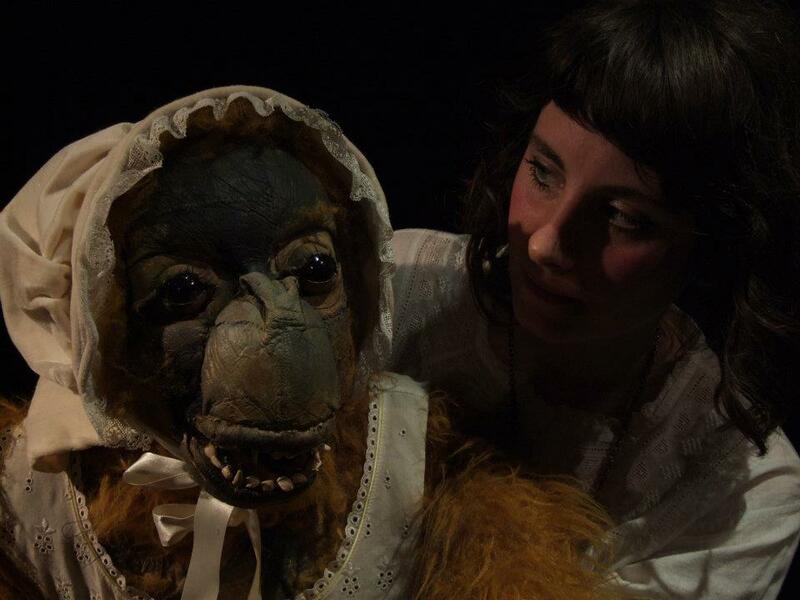 Daisy Jordan, founder of Barely Human Puppets, is a visual artist, puppeteer and performer living in Brighton. She can be found regularly performing around the city, particularly at Bom-Bane's - a little cafe and music venue run by musician Jane Bom-Bane. She creates puppets of all different shapes and sizes - some talk, others mime. Many are monkey-shaped. As a maker and manipulator of puppets, her work tends to explore the tension between the real and the imaginary; the delightful and the grotesque; and the sweet and the unsavoury. For Daisy, puppetry is an ideal way of combining two of her passions: stories and making. Education - Studied Puppetry at the Ernst Busch School of Performing Arts, Berlin during the Winter Semester (Oct - February) 2015/2016. Studied Fine Art Painting at the University of Brighton, graduating in 2009. Daisy will be running two workshops this summer. Another 8 week glove puppet making course, and a weekend course making mini puppets from wooden off-cuts.